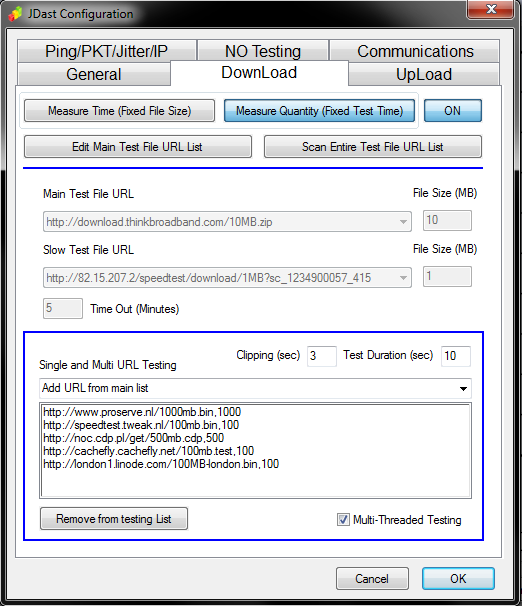 Digital Region Community Support Forum / JDs Auto Speed Tester / JDs Auto Speed Tester / What's Servers Do You Test With? RE: What's Servers Do You Test With? I use a personaly hosted 500MB file added 4 times. This seems to work well even though its the same URL the end result is more stable. 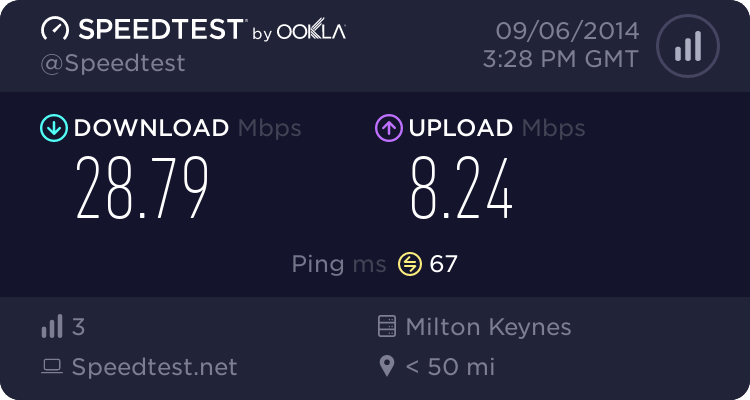 Well personally i find that on a standard 8Mb/s ADSL connection in the UK the following 3 are perfectly up to the job. 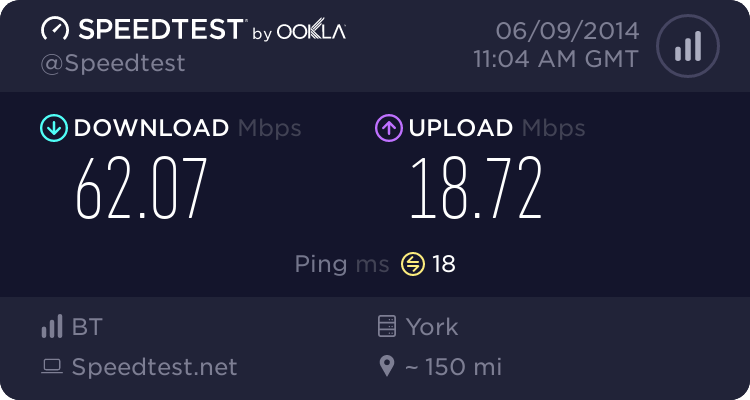 And even if there not set to multi-threaded they usually show a decent result , although i do use multi-T to save test time, reduce BW & get the best possible results. i used the same as what @SpencerUk had set up - this way it made it fair for the tests I believe. (21-02-2012 08:07 PM)mirdragon Wrote: i used the same as what @SpencerUk had set up - this way it made it fair for the tests I believe.